Lifetime employment may be a thing of the past, but lifetime relationships are more important than ever. Rehiring former professional drivers is a benefit for companies that build those kinds of relationships, because good drivers who depart are more likely to return if the circumstances are favorable. In our exit survey data, we typically see that more than 50% of drivers leaving for preventable reasons would be likely to consider returning to the organization. This is especially powerful in the trucking industry where good drivers can be difficult to find. The best approach to creating an effective return program is a holistic one, incorporating elements of recruiting, culture, and employee relations to ensure that no good driver is left behind. 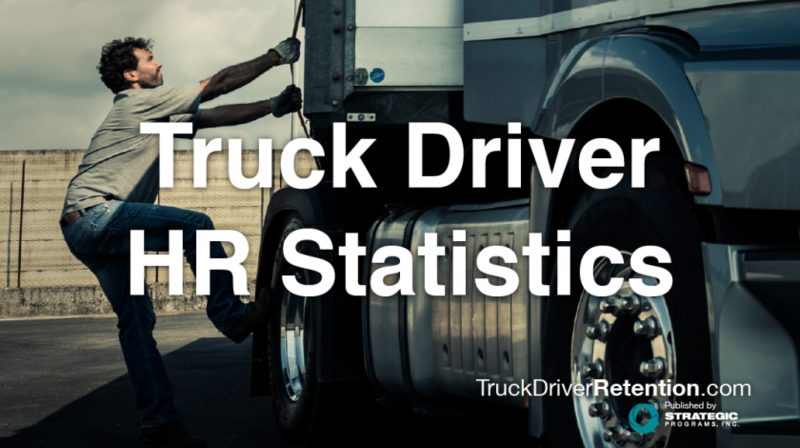 Think about the recruiting costs your organization incurs in pursuit of new drivers. It can range from job advertising to referral fees, and the more difficult-to-fill positions typically require additional costs. However, when pursuing organizational alumni, you can avoid those costs. This approach should be a standard practice for recruiters because it creates a conversational opportunity, one that doesn’t exist with candidates unfamiliar with your organization’s purpose and mission. In addition, there is less overhead associated with rehiring former drivers because they do not require as much training or orientation time. Taking the time to pursue a driver that left and asking them what it would take for them to return is a simple, low-stakes way to start the conversation. The challenge is to keep the tone open and conversational as you dig into the issues that caused them to leave in the first place. It’s entirely possible that the original friction that caused the driver to depart is no longer an issue, opening the door for return employment. For instance, if someone left due to a bad relationship with a supervisor, but that supervisor has moved on to another job or department, it could be the perfect opportunity for the employee to return to their previous role with a new supervisor. While not a common practice, some companies are opposed to rehiring drivers. The thought is that if the driver left, they will probably do it again. While that may be true, it’s also incredibly shortsighted. Remember the lifetime relationship conversation? I’ve had great referrals from former workers, and I’ve also had fruitful rehire experiences simply because I made the conversation about the relationship, not the exit itself. Embracing organizational re-entry is a cultural aspect that some companies have trouble with. Whether it’s pride, anger, or some other factor, it requires a long-term perspective. Despite the common belief that the “grass is always greener on the other side,” it is often not the case. While we all have probably fallen into that trap at some point in our careers, we need to look past the initial feelings and see the long-term benefits of organizational re-entry. Viewing those individuals that leave for preventable reasons as a valuable resource to tap into requires a mature mindset, but it can provide a host of benefits to the organization willing to take advantage of it. In addition, research performed by Strategic Programs across a variety of trucking fleets shows that rehiring someone up to two times after the initial hire does not have a negative effect on performance or productivity. If your organization has a negative view of re-entry, this is a key statistic based on impacts to business outcomes that can help transform it into a standard practice. Does HR set the criteria, or does each manager have the final say? What are the eligibility requirements? Does it rely on previous performance, the reason for leaving, or other related factors? Once this becomes an established process, it can be woven into the standard recruiting practices to ensure this pool of valuable candidates doesn’t go untapped. Identification of the internal party that will have the recovery conversation with someone planning to quit. This needs to be the person with the requisite authority and credibility to speak openly with the employee about their reasons for departing and how they can be addressed. Development of a profile that determines who is suitable for keeping and who’s worth letting go. As we know, not all departing drivers are ones that we would choose to keep, so being able to differentiate between each group is critical. Alignment with existing HR and exit processes to ensure data captured on the departure (or intended departure) is fed back into the organization for decision-making purposes. For instance, if the person plans to leave due to a new manager’s personality but is talked out of it, there should be some follow-up and accountability built into the decision to stay. Having a solid resignation recovery process can eliminate some of the preventable turnover before it occurs. Organizational re-entry is a valuable approach for any organization, but it can deliver the highest value to those with difficult-to-fill positions. Maintaining long-term relationships with drivers and former drivers is a recipe for success in an increasingly experience-driven work environment. Remember, success requires a long-term perspective, and companies that see people as valuable assets have the most to gain from this type of program.